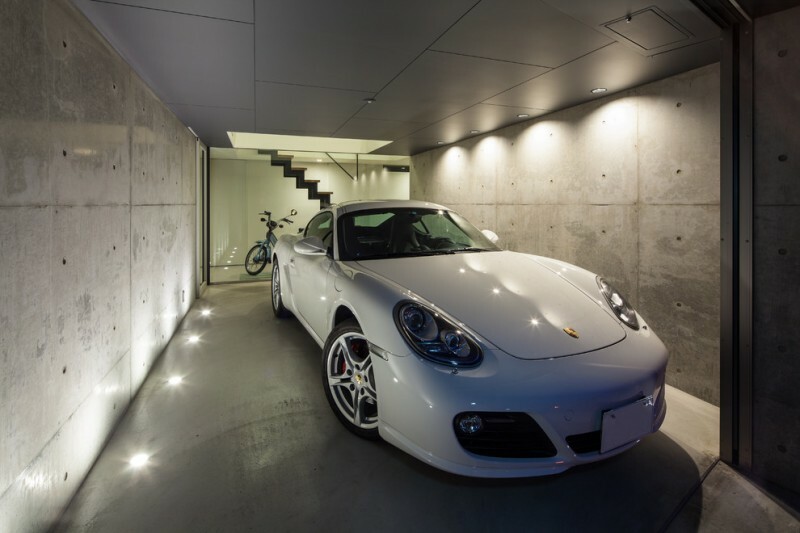 A modern garage is a good choice if you have a modern house. 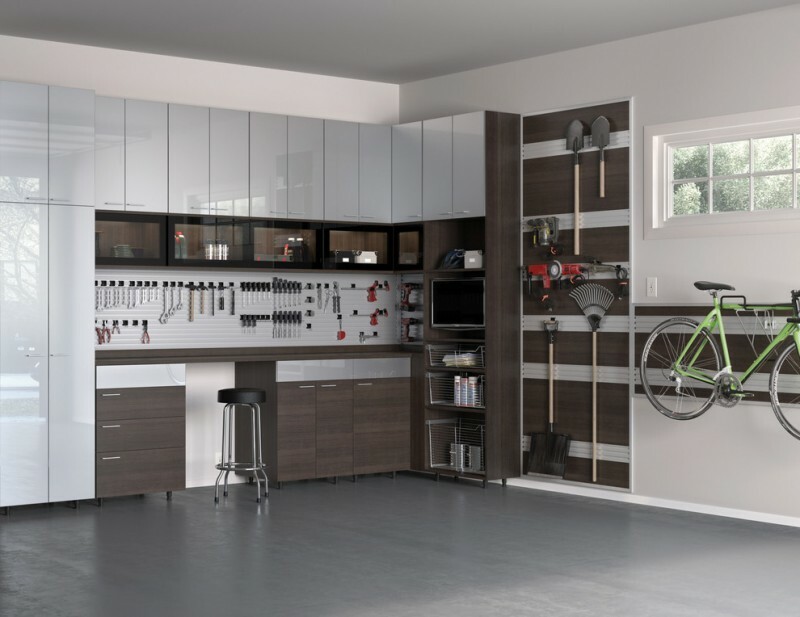 Although the main function of a garage is to keep the vehicle safe and some tools that you can put in the cabinet, you can still add a style for this space. 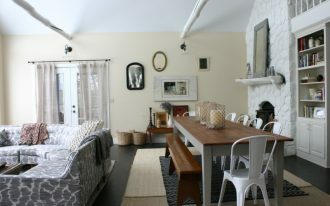 A modern garage needs modern and sturdy furniture pieces and good lighting. 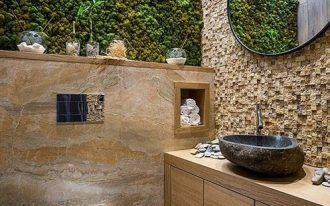 Here are some modern garage ideas that will inspire you to make a nice garage in your home. This modern garage has many functional storages. We may have many tools such as garage and shed products that we should store in the garage. It features cabinet with drawers, upper shelves, storage boxes, and some hooks. 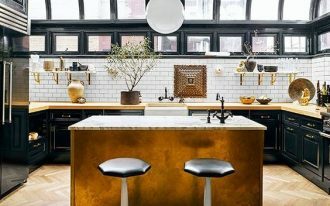 The custom shelving on the wall looks brilliant. 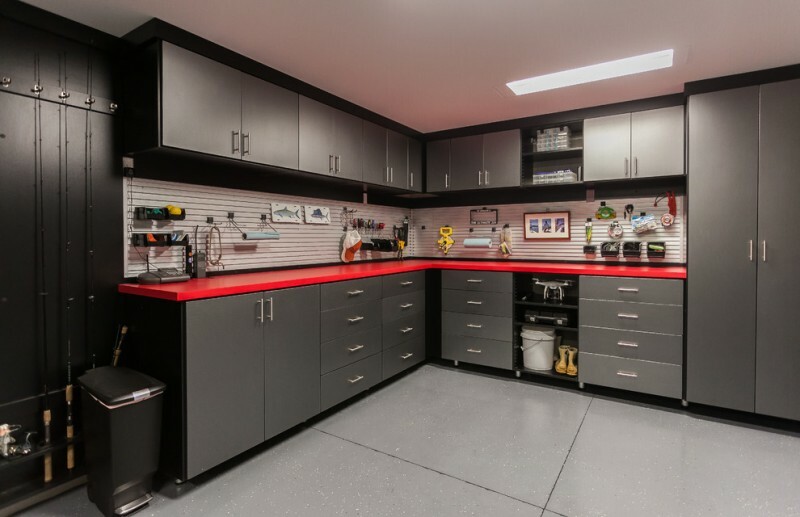 This modern garage features custom cabinets with the grey and black finish, decorative carbon fiber doors, drawers, fishing rod storage, an adjustable tool storage, and pop red countertop. It’s beautifully done to make your modern garage look neat. 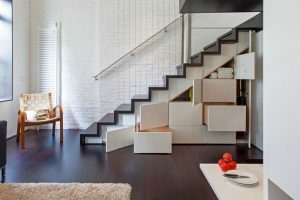 Another storage idea for a modern garage is here. Grey melamine cabinets are contrasted against the bright blue and white walls. 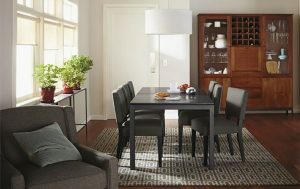 The color of the cabinet also blends with the Polyaspartic flooring. For your bike, you can hang it on the Omnitrack Slatwall system that comes with some hooks. It can be adjustable easily. 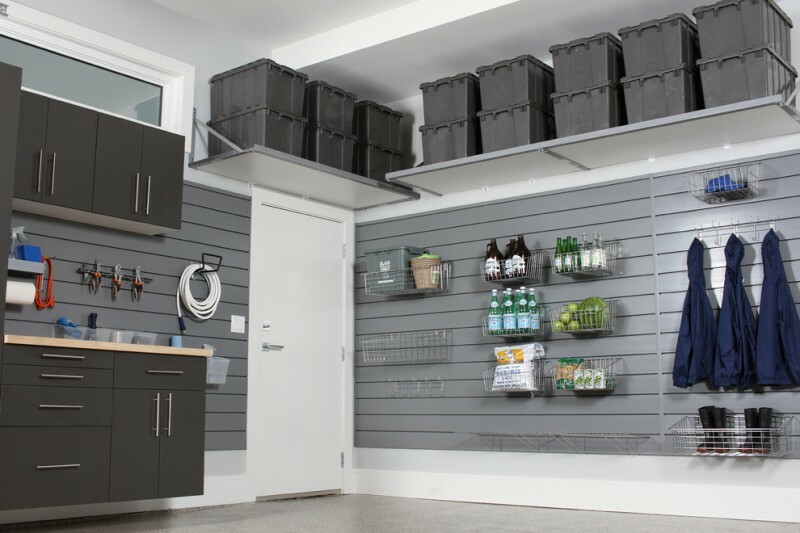 If you want to make a neat modern garage, a smart organization for garage tools is necessary. The wood paneling and glossy cabinets are nice for this garage. The upper cabinets have closed and glass doors. 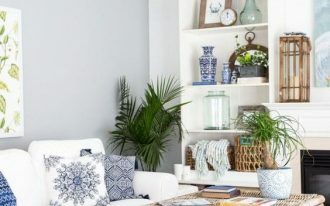 This is an inspiration for you who wants to put some colors in garage cabinets. The red accent looks so brave in this grey garage. This garage shows a special flooring with a custom medallion. 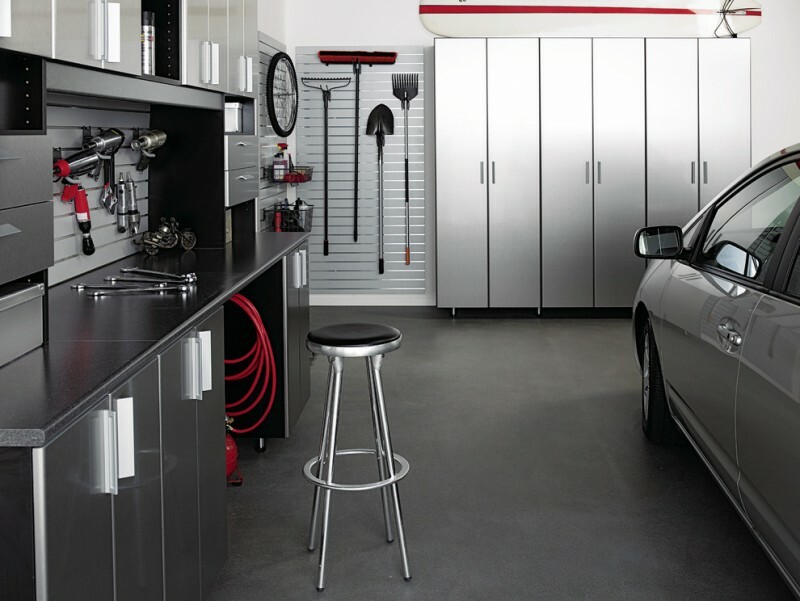 A small garage looks great with glossy grey cabinets. The cabinets are provided to keep either small and big things. 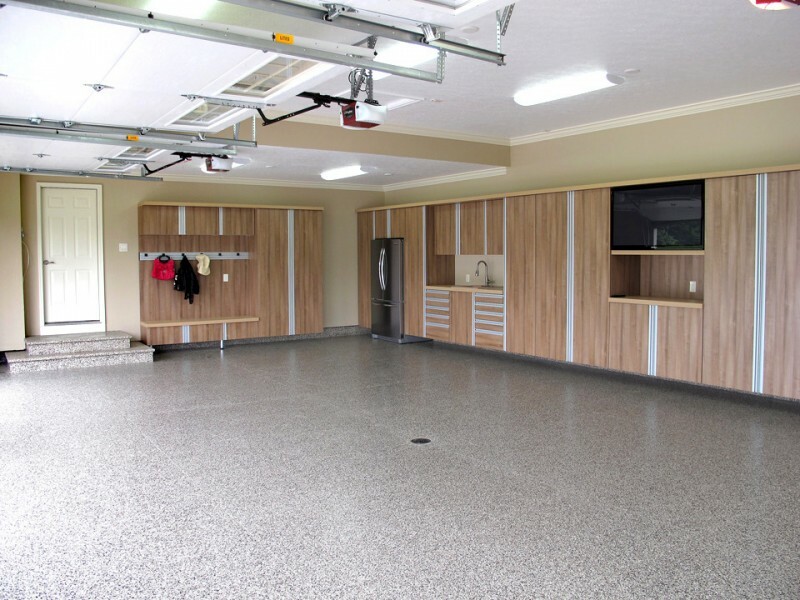 The stained concrete floor is also durable for a garage. 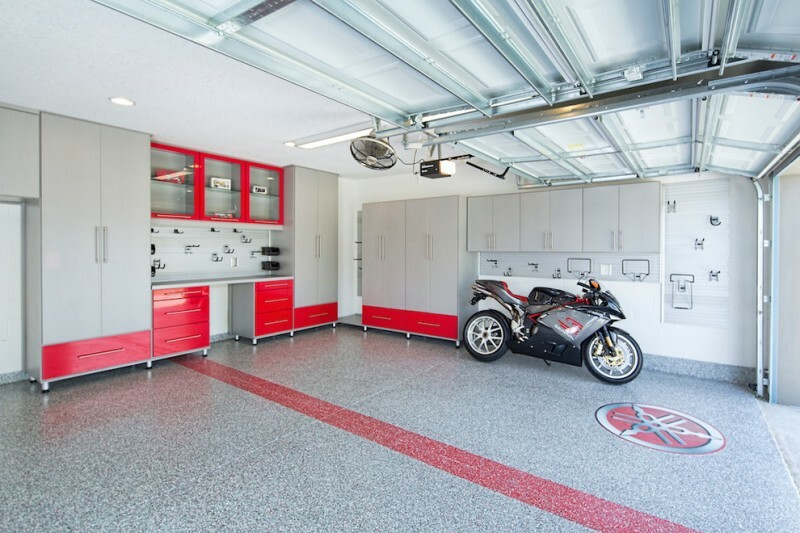 Your garage will nicely be done using epoxy floor coatings, tool storage, and shelving. 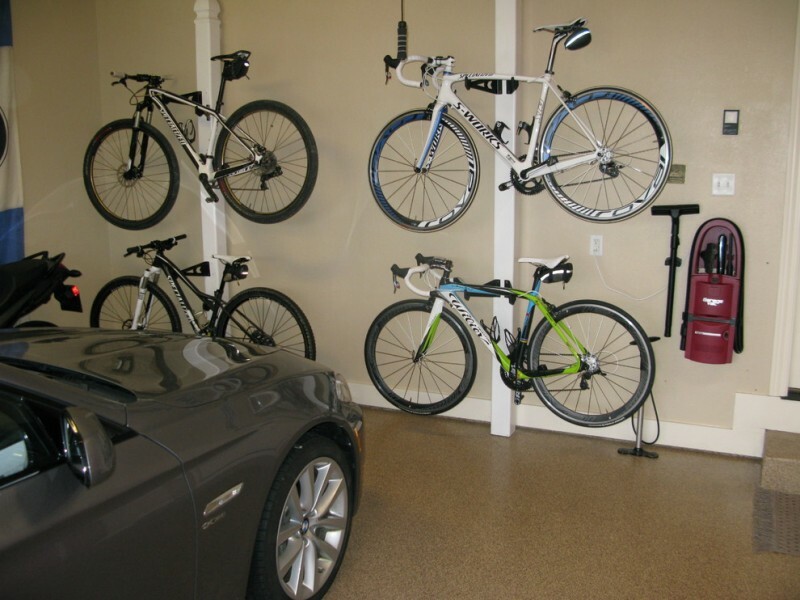 You can also install a wall mounted bike rack to keep your bikes nicely. 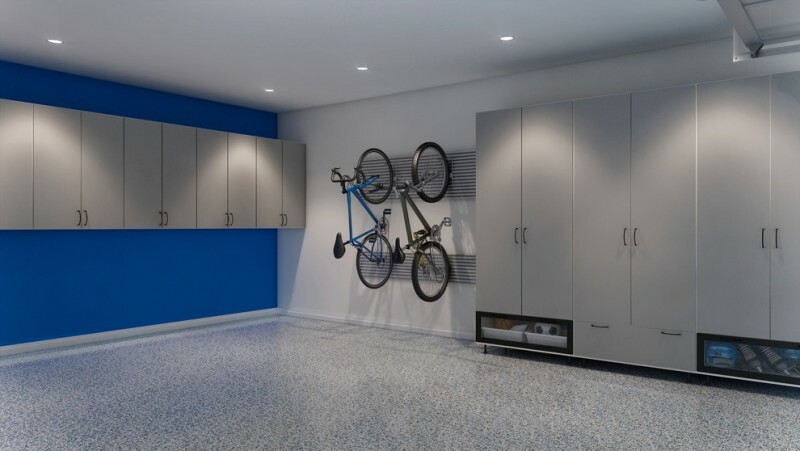 Your modern garage will be very organized and clean. Nice lighting also can increase the value of your garage display. 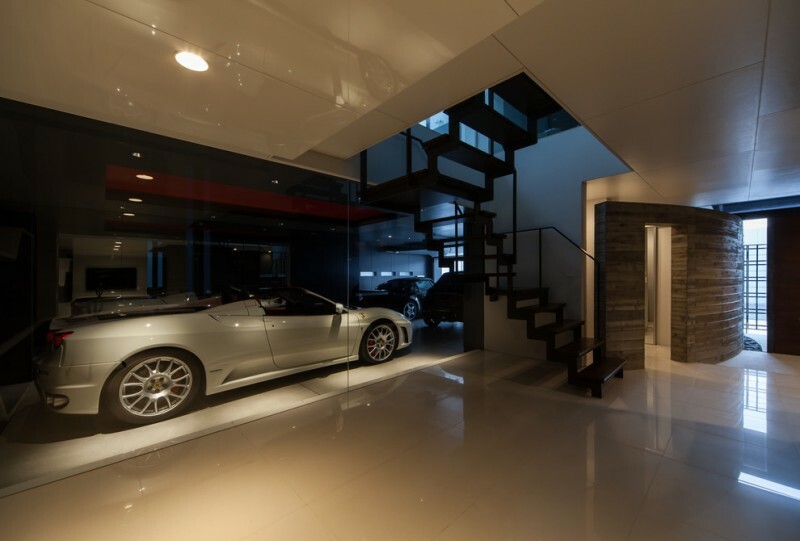 The glass wall and door separate the living space from the garage. This garage has recessed lighting that will be enough for the concrete floor and wall. 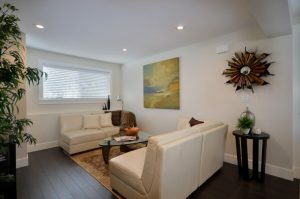 Using the modern garage space as a feature in your home is a wise choice. This garage has glass wall and door that will show the car inside it. 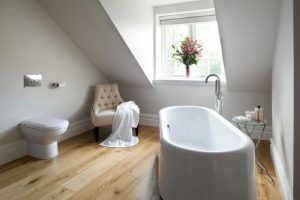 This method also makes your home more spacious. This large garage has a sink and refrigerator. It may be unusual things for a garage. The cabinets are completed with some coat hooks to hang your coat or bags.